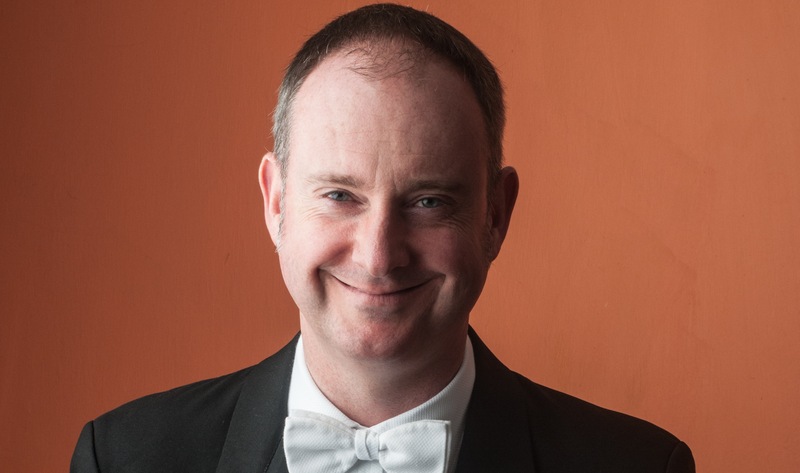 In his second season as Principal Conductor and Musical Director of the recently founded Orquestra Filarmonica de Goias in Brazil, Neil Thomson is one of the most widely respected and versatile British conductors of his generation. Born in 1966 he studied with Norman Del Mar at the Royal College of Music and later at Tanglewood with Leonard Bernstein and Kurt Sanderling. He has conducted and recorded with both the London Symphony Orchestra and the Philharmonia and in recent years has worked with the London Philharmonic, BBC Symphony, Halle, Royal Scottish National and Royal Philharmonic Concert orchestras in the UK, Tokyo Philharmonic in Japan, São Paulo Symphony in Brazil, Aarhus Symphony in Denmark, the RTE Concert Orchestra in Dublin, the WDR Orchestra in Cologne and orchestras in Israel, Portugal, Italy, Sweden, Romania, Mexico, Oman and Lithuania.He has twice given EU-sponsored master classes in Lithuania and has been a Guest Professor at the Mozarteum in Salzburg, the Krakow Academy of Music and the Conservatoire ‘Arrigo Boito’ in Parma. He has been on the jury of the Lorin Maazel Conducting Competition, the Eduardo Mata Conducting Competition in Mexico City and the Prokofiev Conducting Competition in St Petersburg.He has performed with many distinguished soloists including Sir James Galway, Dame Moura Lympany, Sir Thomas Allen, Dame Felicity Lott, Philip Langridge, Stephen Hough, Dame Evelyn Glennie, Steven Isserlis, Julian Lloyd Webber and Natalie Clein. Recordings include a CD of contemporary American violin concertos with the Royal Liverpool Philharmonic.He was Head of Conducting at the Royal College of Music. The youngest ever incumbent of this post (first held by Sir Adrian Boult in 1916 and thereafter by conductors such as Sir Malcolm Sargent, Constant Lambert, Vernon Handley and Norman Del Mar), he has established an enviable reputation as an orchestral trainer. His skills as a natural communicator have enhanced an already growing reputation throughout Europe.He has conducted films live to screen with performances of Wizard of Oz, Singing’ in the Rain, North by Northwest, Strangers on a Train, Dial M for Murder, American in Paris and Psycho, at such venues as the Barbican and the Royal Albert Hall.